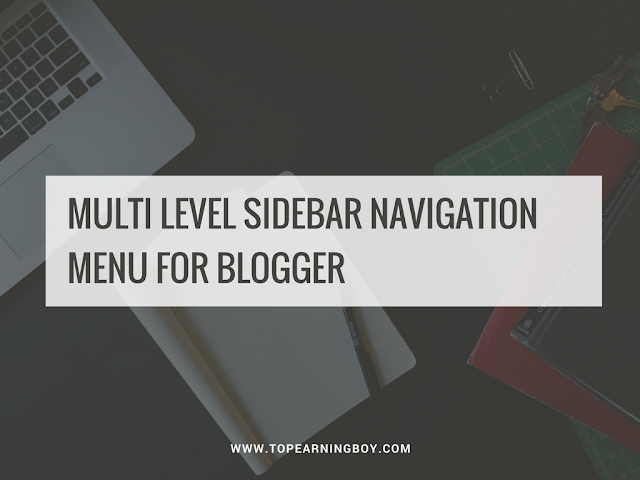 Navigation menu is the main part of your blog and your users will surely want it to be very easy to use and navigate and if you don't have one then I am really glad that I created an amazing multi level sidebar navigation menu for all Blogger or Blogspot users. Since it's sidebar navigation menu so you don't have to use any type of conditional tags to make it appear on both versions of your blog i.e for desktop version and mobile version as well. Without CSS, HTML is like an ugly woman so just above </head> tag paste the following CSS styles. Replace Linktext and sublinktext with your page title. Replace hash sign # with your page URL. For sidebar navigation background color replace #54678f with color that you like. Just save your template. We are done! If you still have any problem installing this beautiful sidebar navigation then comment in the section below and if you liked it then don't forget to link back to this page. Chill out!